Aaargh! It's been one of those days...or maybe I should say weeks. Craziness from one day to the next! Between problems with my sewing machine and me just being tired and careless, I've found myself many times cursing under my breath like a pirate! My baby quilt is coming along (good thing since my neice had her baby, Sophie on June 1st). But I did end up ripping out an entire edge to undo the backing that wasn't supposed to have been sewn into the prairie point border. Eventually, I got it straightened out and should have the backing/binding finished tomorrow. I love how the prairie points are turning out and I learned a lot about how I will attach this type of border in the future and have an easier time of it. I wouldn't say it was the BEST of the four, but it definitely lived up to the three previous movies. 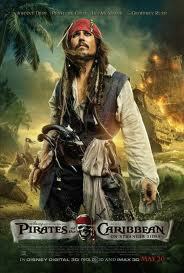 Very entertaining...and who doesn't just love Johnny Depp's, Captain Jack Sparrow? Aaargh!! 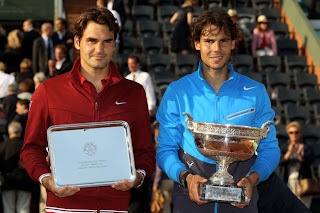 Also in the midst of the craziness of the last few weeks, I had to watch my Roger accept defeat at the hands of the rogue spaniard, Rafa once again. He had some sweet victories on the way to the French Open final but in the end wasn't able to come through with the goods. Aw, well...it was a great tennis match in spite of the loss and tomorrow's another day and the beginning of another tournament and so it goes. Aaargh!! I can't believe it's been almost two weeks since I posted anything here. 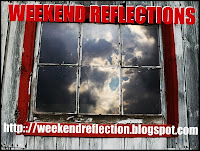 Like I said, it's been crazy busy and I'm hoping now with school out I'll have lots of time to quilt & blog! Good thing because I have several projects in the works. Can't wait! 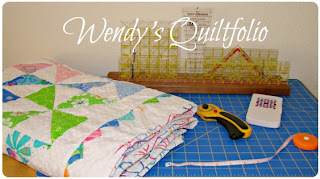 Wendy I love your baby quilt , the prairie points really add so much even if they were a little frustrating . Hope you have your machine problems ironed out , that can be a real bummer . Ohhh, Baby Sophie is here? I missed that! Sheesh, we REALLY need to connect don't we? Pathetic... Beautiful quilt. You ARE amazing. Wow! That is one fantastic quilt! All those teeny weeny prairie points--you are a wonder! I really like the addition of the prairie points..they add such a prettiness to the quilt. I think Rafa would actually play a very decent Captain Sparrow if Johny Depp ever backs out..he has a certain rogueish gleam in his eye..or was that only from beating your Roger?